Why does ice dam steaming cost so much? You are probably here because you have ice dams on your roof and you have made several phone calls to reputable ice dam steaming companies and you have found that the price for this service is expensive. We understand your concern and want to help you understand the reasons why low pressure ice dam steaming cost so much. Producing steam even in the past has always been an expensive task. Energy from a heat source is always needed to make the steam. To produce the heat there is usually labor and materials. There are so many key factors to the price of this service such as maintenance, fuel, labor costs, dangers, insurance, etc as listed out below. We hope after reading the bullet points you will better understand why the price of ice dam steaming deserves a premium. Usually included in this expensive service the company will evaluate your situation and decide why you got ice dams to begin with, and they will instruct you how to prevent them in the future. Why Does Ice Dam Steaming Cost So Much? The price of a steamer for this profession is extremely expensive! ($5-$7,000 per machine!) Then there is the price of all the miscellaneous equipment which usually equals about another five thousand dollars per truck. And then the truck itself. Steamers do not last forever and eventually a machine will be scrap. Low pressure steamers require constant very expensive maintenance (sometimes daily) and most companies have several back up machines in case of a break down. The price of kerosene is very expensive and these machines are very thirsty. The price of antifreeze used to winterize the machines is expensive and needs to be changed often because it becomes diluted. The price of liability insurance coupled with workman’s compensation is unbelievable! The hourly rate employee’s demand for this type of work is directly reflected to the hourly rate. Standing on icy roofs and slippery ladders all day make this line of work extremely dangerous! Companies must store large amounts of equipment during the off season and sometimes for years until the next ice dam season. These professionals subject themselves to extremely cold harsh conditions all day and deal with water and freezing temperatures for long periods of time. The service they offer is considered an emergency service and is extremely important to stop water leaking into your property. Getting to you quickly saves you money by avoiding excess water damage. Removing snow from a roof and ground is extremely hard physical labor. The amount of education it takes to safely and efficiently run a low pressure steamer is something most people do not possess. These are a few of the reasons ice dam steaming costs so much. We have also written an interesting article about the ice dam steaming price range. 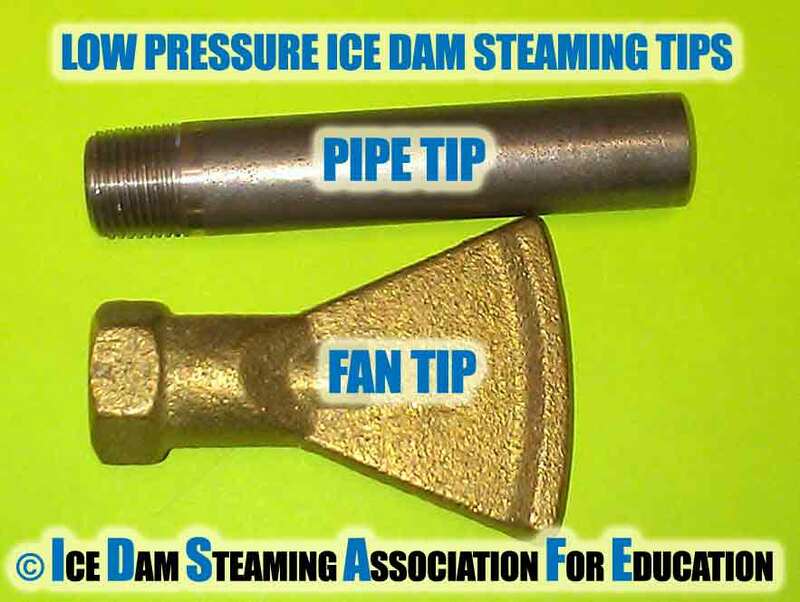 If you have additional questions or need to hire our members for ice dam steaming you can contact us.